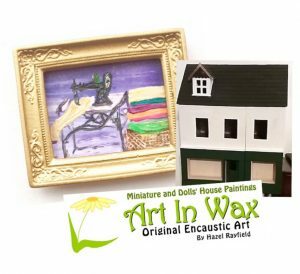 New Miniature Art In Wax Dolls House Paintings – Period Style ! 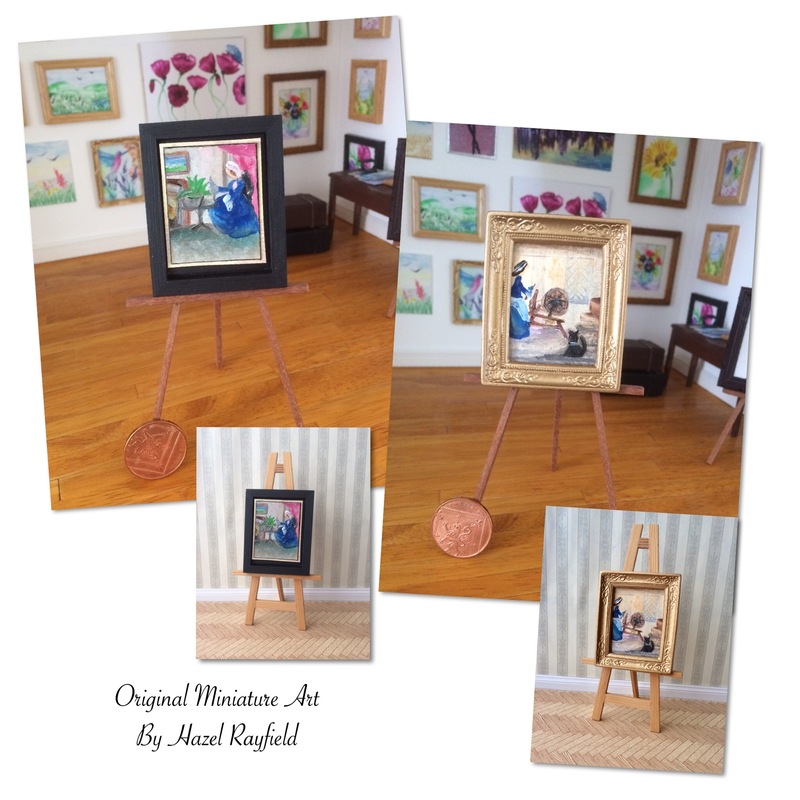 This new piece of my miniature art for a dollhouse has a lady of a period (you decide) with her sewing and her aspidistra planter on the table by the fire place, this is definitely the Lady of the house’s Room with her pink drapes at the window. I have layered this painting on a rustic painted card for an antique look and it is for sale in a wood frame, the frame is handmade, especially for my art, bespoke in fact by a uk craftsman. Size 2 x 2 1/2 inches overall when framed. The frame is front loading so the painting is stuck in. My husband likes to challenge me …. And after recently seeing my miniature sewing machine painting said “you could do a spinning wheel “ so I thought why not I’ll give it a go !!! This what I’ve come up with……. A period style scene with a cat in the foreground and a lady using a spinning wheel in the background, this tiny painting has lots of details and is very much a new style for my miniature art. I felt this painting needed a more ornate frame so it is for sale in the gold effect frame, which is a Streets Ahead miniature. 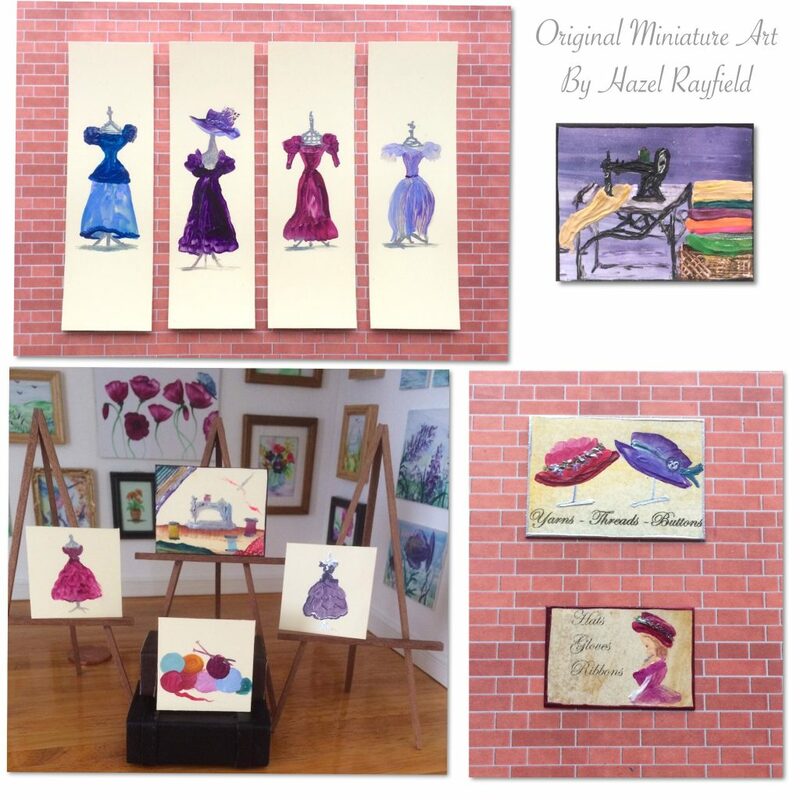 Overall size including the frame is 2 1/2 x 2 inches approx. These two miniature paintings are currently ( at the time of writing) listed for sale in my Etsy online store. 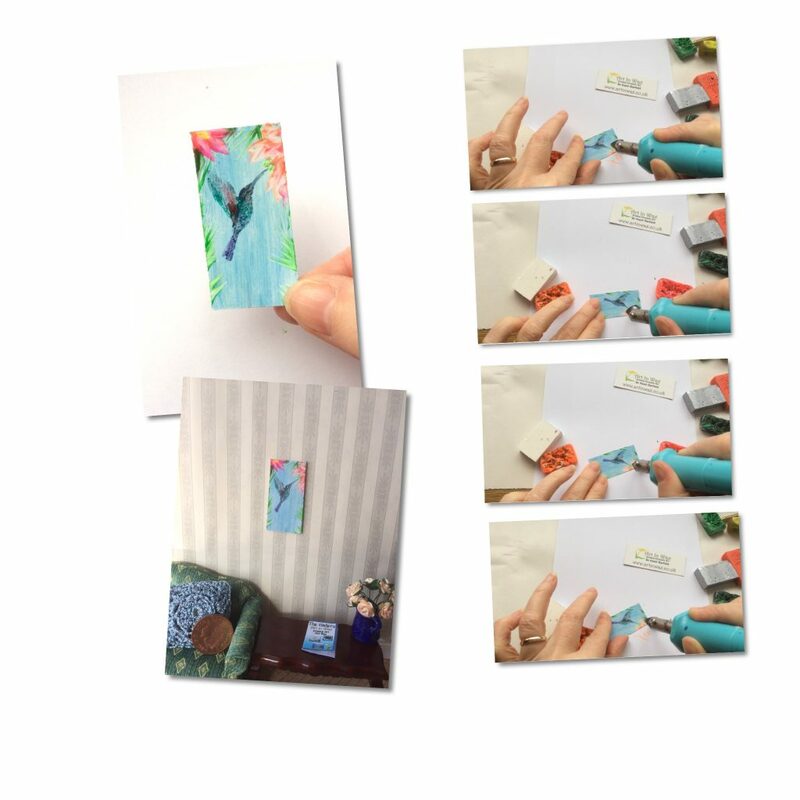 I ship worldwide from Southend-on-Sea, England, in fact my art is currently in 16 countries on 4 continents as far as I know ….. which I am very proud of and have to pinch myself when I think about it !! You are currently browsing the Art in Wax blog archives for February, 2019.